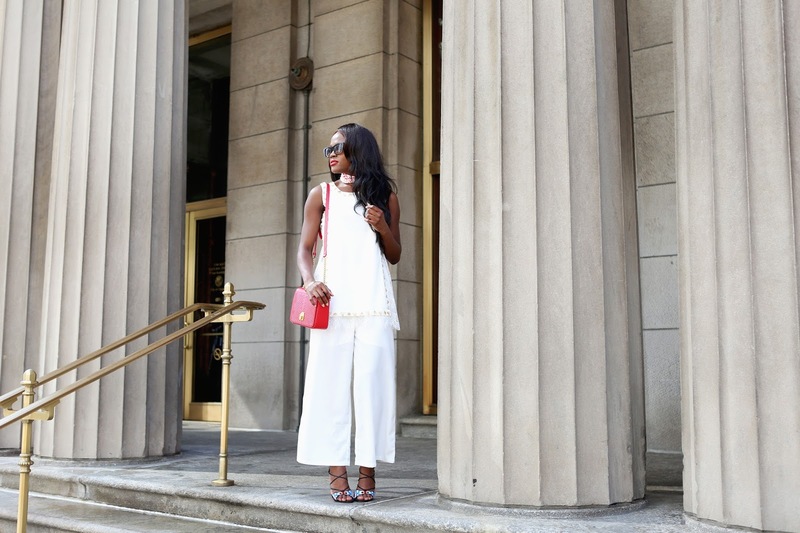 This summer, white is one of my favorite colors to wear for that instant chic look. 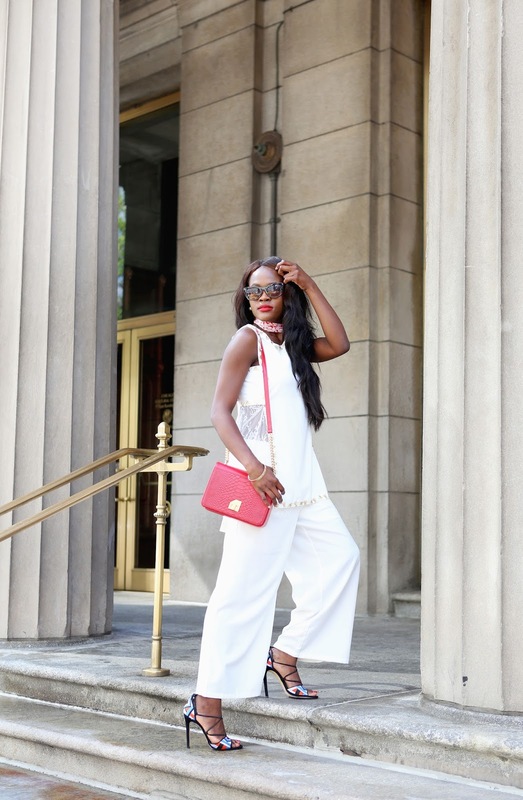 From summer frocks to two-piece sets or jumpsuits, channeling major classy chic vibes is effortless when done in white. True confession, somehow within the past two years, I no longer enjoy shopping in stores as much as I used to. I find myself getting very inpatient and feel like I should be doing something else with my time. In the past, I could spend hours at the mall, now one hour is my limit. So I do most of my shopping online and constantly look for new online stores to shop at. 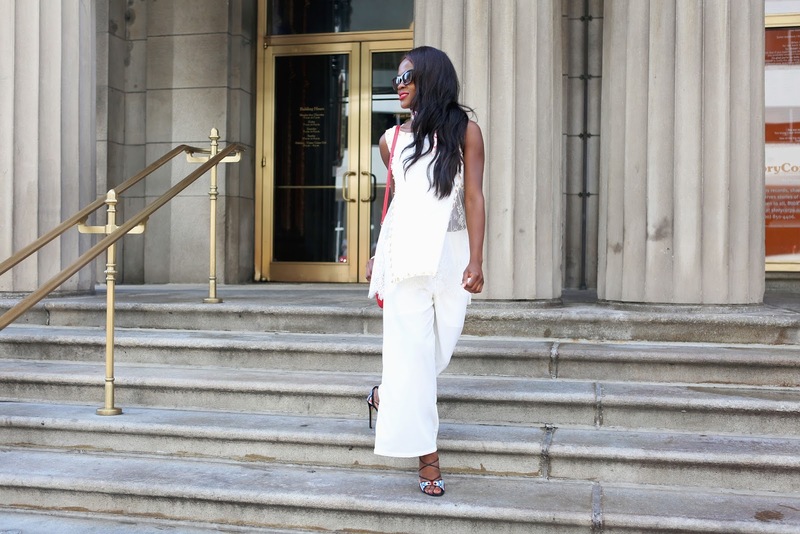 This particular two piece culotte and lacy top set from VIPme couldn’t have been more perfect. This is my first piece from the website and I am excited to be teaming up with them to do a VIPme review. Quite honestly, I thought it was a jumpsuit, however was even more pleasantly delighted when I received a two piece set which means more mix and match options for styling. 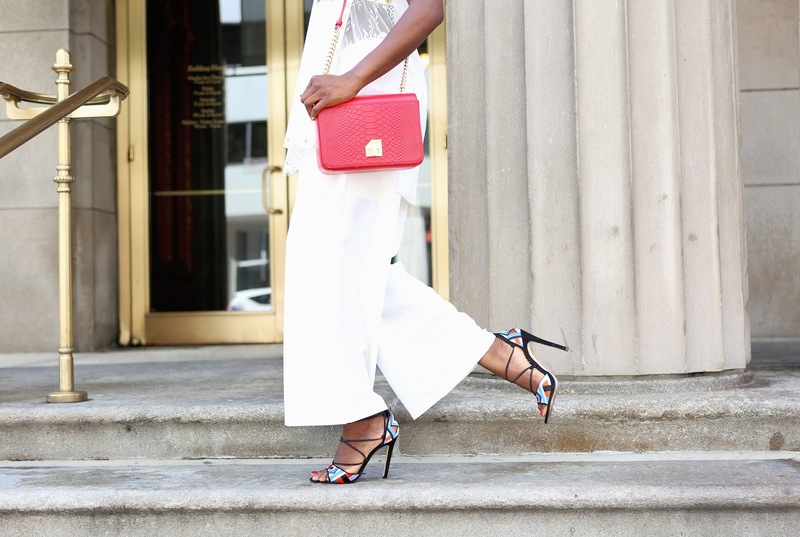 Styling such a chic piece came naturally. This season’s trend of scarves is my absolute fave, next to the off- shoulder looks of course. However, scarves ties around the neck effortlessly amps up the elegance and stylishness of any look. The light and flowy nature of the culottes and lacy details of the top, adds an airiness to the look that is perfect for summer. 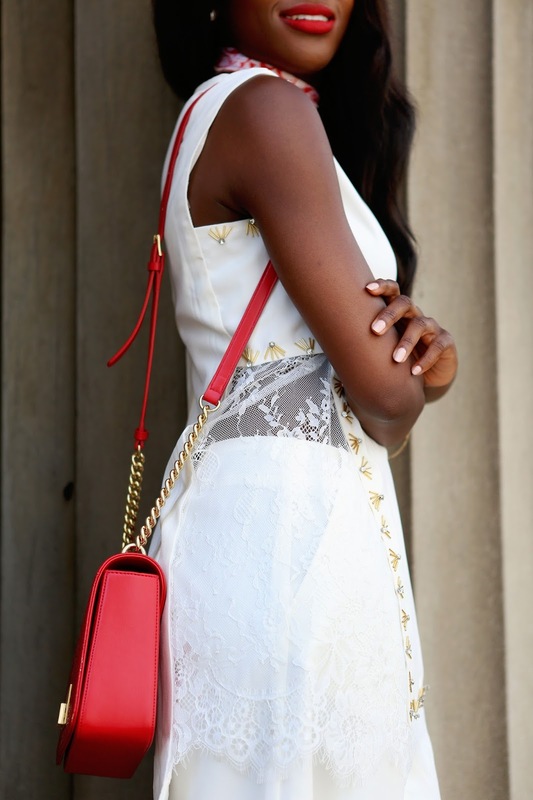 Lace up heels and the perfect red bag complete the look. Would I shop at VIPme again? an absolute yes, for the cutest unique pieces! You can download the IOS app or Android app to explore the website with me for other great selections. Don’t forget to use this special code “SIJennifer68” to take $5 off all orders of 50 or more! I am currently eyeing this gorgeous dress! Look for it on my instragram. Would love to see your picks! Thanks to VIPme for Sponsoring this post.